This book proposes that investors should expand the definition of hedge fund governance beyond traditional notions limited solely to the Board of Directors of offshore funds. 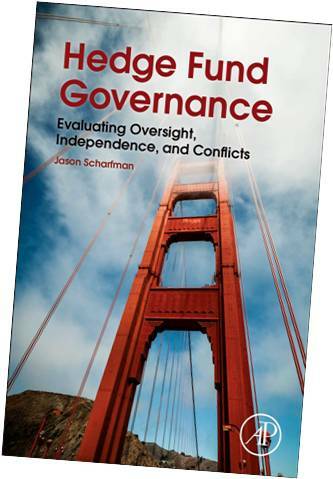 Instead, included in this expanded governance analysis approach should be a host of other governance considerations ranging from internal hedge fund committees to the oversight of hedge fund service providers. Hedge Fund Governance summarizes the fundamental elements of hedge fund governance and principal perspectives on governance arguments. An authoritative reference on governance, it describes the tools needed for developing a flexible, comprehensive hedge fund governance analysis framework. Case studies and interviews with professional fund directors shine a bright light of pragmatism on this framework. The author's global analysis of more than 5,000 hedge fund governance structures enables him to draw realistic conclusions about best practices. He also explores the value consequences of good vs. bad governance, estimating the actual dollar losses that can result from bad governance, as well as the operational and investment performance benefits of certain governance practices. Presents methods for evaluating qualifications, conflicts of interests, fees, obligations and liabilities of hedge fund Boards of Directors. Explains techniques for developing a hedge fund governance assessment program, including analyzing legal documentation analysis and financial statements for governance related information. Uses case studies and example scenarios in hedge fund governance successes and failures to explore investor governance rights and fund manager responsibilities in onshore and offshore jurisdictions. If a Hedge Fund is Profitable, Why Should Investors Care About It's Governance?